Another wonderful summer day…even better than yesterday. 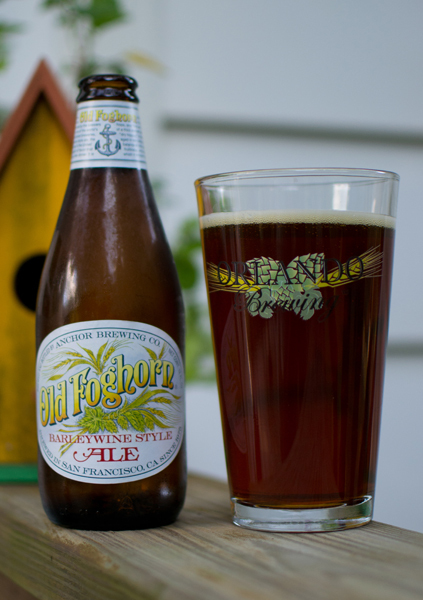 Out on the deck relaxing after a long day of work has me trying another beer, beer #256, Old Foghorn by Anchor Brewing Company from San Francisco, California. This is a new style for me, an English Barleywine. English Barleywines differ from the American style in that they are not as hop heavy and typically lower in alcohol. The ABV of this beer is 8.2%. I liked the appearance here…the color was gorgeous. A deep dark reddish amber showed itself off in my pint glass with a tan head. 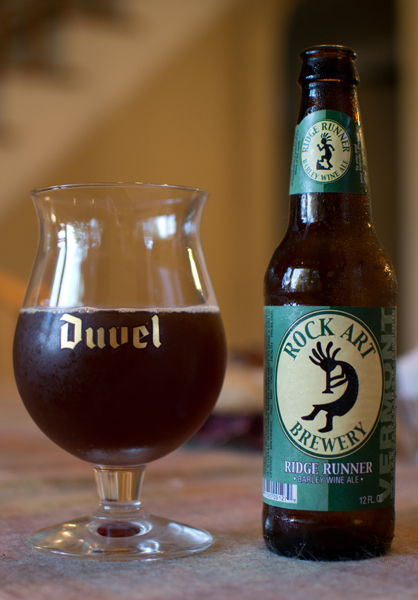 The nose was mild and consisted of mostly a sweet malty aroma. There was a bit of bread also in the nose. I took a sip and sure enough, the sweet caramel tastes of the malts pretty much dominated the flavors. Towards the back end of the sip the alcohol made itself known. There was a bit of a warming sensation as I swallowed it. There was quite a bit of carbonation in this medium-heavy bodied brew. It was a sipper for me. Pretty solid brew…I think I prefer the American style more for the heavier hop presence they tend to have. Give it a try if you are a bareywine lover.